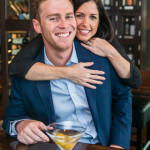 We had a blast taking these engagement photos at Shula’s 347 Grill in Coral Gables. Michelle and Chris are already happily married! Photos of the wedding to come. Divine and Ehren really got creative with their outfits for this session at the Ancient Spanish Monastery (www.spanishmonastery.com) in North Miami Beach. It really made it extra fun for them. Can’t wait to shoot their wedding later this year. We had a lot of fun taking these photos at The Moorings Village and Spa in Islamorada (www.themooringsvillage.com). Annie & Mike were naturals in front of the camera and it’s easy to see why they are together in theses photos. Can’t wait to shoot their wedding.